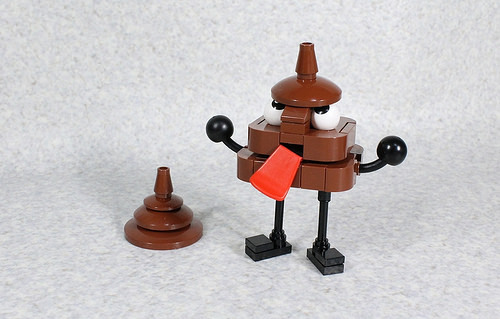 It’s been fun to see folks getting a lot of use out of the new eyeball pieces from the very popular Mixels sets. But legendary Japanese builder Moko has just taken us into a whole new realm with this build, which is literally a piece of crap! …or maybe not. 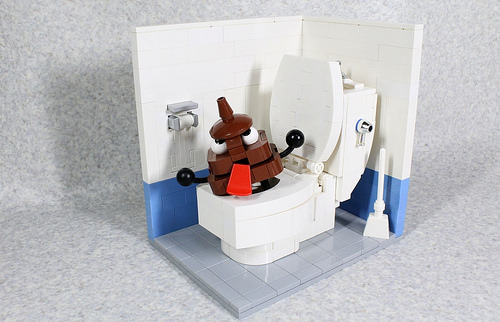 Why is the poo angry? Why does it have a tongue? Is this what can happen if I don’t get enough fiber in my diet? Unfortunately Moko’s usually very detailed blog does not yield any clues, just a bunch of potty humor. I thoroughly approve! Looks like my iPhone emoticon.